How I changed my diet and what it did for my skin. - Cherry Colors - Cosmetics Heaven! How I changed my diet and what it did for my skin. I've been thinking about this post for a long time. I wasn't that sure if I should post it or not, but then I realised that I'm not the only person with skin problems out there. 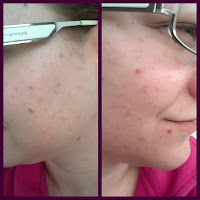 A couple of months before (just at the beginning of Summer) I posted many times about my problems with my skin. 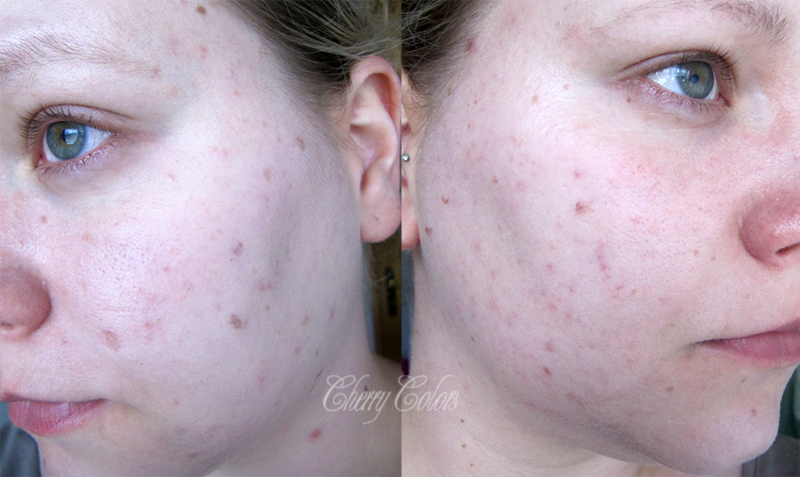 I got acne and PIH (Post-Inflammatory Hyperpigmentation) and my skin looked the worst it has ever looked. I tried many different products, but I couldn't stand it anymore. She did give me samples for a couple of products (Bioderma and La Roche-Poshay) but she did give me one suggestion that I took to heart. It was so out of this world that I never thought about it. To change my diet. She said that most of the time an intolerance is shown through the skin, because the ingredients build up and the skin wants to get rid of them. Truth to be told, the only reason I would change my diet is probably my child (I was without milk products for the first couple of months after his birth, because he got terrible cramps whenever I ate something with milk in it - like ice cream) and my skin /body. She said to remove white flour, milk and dairy products and sugar from my diet. This was my skin BEFORE the drastic diet change. It's not that my skin looked terrible (it did), but it was mostly that I had these terribly painful acne on my scalp. It's incredible how painful those are. And they kept coming back, so at a time I had like 15 of them! I was embarrassed to be seen without foundation, but at the same time I knew that just covering up the problem isn't a long term solution. The first weeks of the diet were extremely hard. I lost some weight, but I started noticing some changes in my skin. At the time, I drank huge cups of coffee with milk. About 0,5L of milk per day or 3L of milk per week. Just from coffees. I switched to rice milk and luckily they started carrying it in Hofer for a nice price. But whenever I went out for a cup of coffee I had to find an alternative because coffee shops around here (except a few ones) just don't carry plant-based "milk". In the end, I started drinking my coffee plain. Without any sort of milk (it's just a nice treat now) and with a spoon of honey.I can now say which coffee is great and which isn't, simply because I'm not drowning it in milk ;). A really big change was also my skin routine. I switched from a clay cleanser which I loved (Alverde) to just plain micellar water. At first I didn't believe it would clean off my makeup, but it DID! Also, I started using Bioderma Sebium Global for my overall face and during the hot days it was great. But beneath all these things I included the Vichy Aqualia Thermal Serum in my routine. It did help by giving my skin some needed moisture and not being too heavy on my skin. I loved it for that. After two months, I was finally happy enough with my skin to try some experimenting with food to see what makes me break out. First - I drank a cup of cow milk. And I waited. The next day I could feel a cystic acne coming up. Coincidence? Well, I thought it was. So I tested it for a couple of days. The result? Painful acne on my scalp and some cystic acne on my face. WOW! Okay, I definitely ditched the cow milk and the next in line for testing was white flour. It didn't break me out, but it definitely made me feel bloated and helped me gain weight. Nothing too drastic or unexpected here. Sugar also didn't break me out but made me crave more and more of it. Not a nice thing but at least now I know how addictive it is to my body. Later I went to the seaside and I stayed there for a week. There I decided I will eat EVERYTHING. So I went a bit on a binge eating which may not have been the best idea. Broken outer corners of the lips because of the excess eating of sugar (ouch, it's a vitamin deficiency I think? 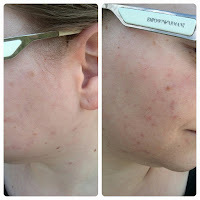 ), lots of scalp and neck acne (painful! ), I was bloated from the white flour products but the extreme weather (heat) did help me cleanse my skin. I don't know why but the excessive sweating helped clean my skin faster than before. Now, the after pictures. This is after about four months of the diet. The last two months it's just without milk (and most of the dairy products - I do however eat cheese here and there, let's say about once per week). Now the skin AFTER. These pictures were taken yesterday. My skin is far away from being perfect, but at least I'm one step closer. Cleanse with micellar water (Bioderma currently), apply a serum (currently it's the Afrodita Hydra Thermal Serum which is a cheaper alternative to the Vichy one) and apply Sebamed Matt cream (again a cheaper version of the Bioderma Sebium Global), maybe apply some Sunscreen and makeup. The night routine is very similar except for the Sunscreen and makeup. 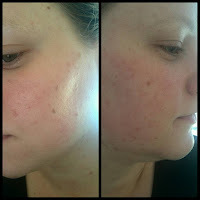 My skin isn't all that oily anymore on the T-zone (thanks to the Sebamed cream) and isn't dehydrated (the Sebamed can do this to dry parts of your skin, so using a serum underneath or just skipping dry parts is crucial!) thanks to the Afrodita cream. I can hopefully make my skin even better in the future by switching problematic food ingredients for better (and raw) ones. 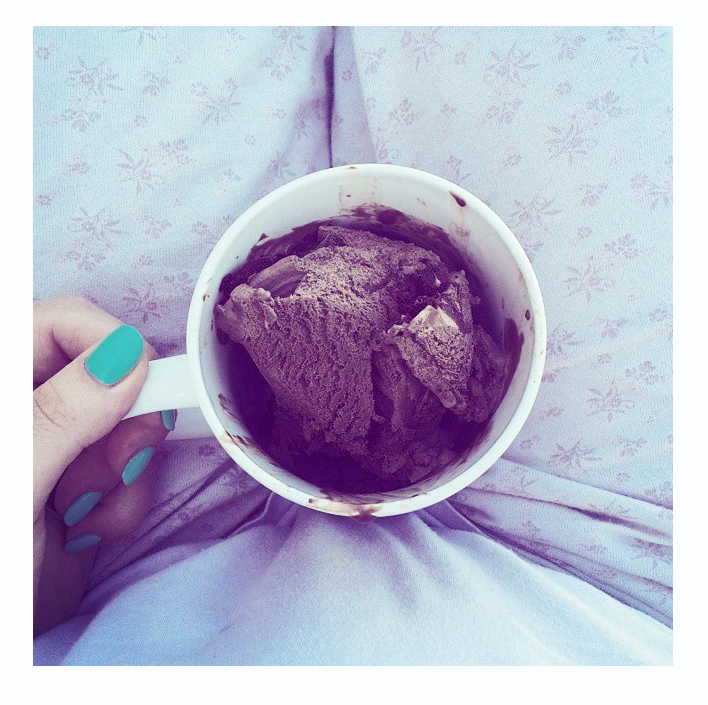 I am finishing this post with a small recipe for a Chocolate Ice-Cream Alternative that anyone can make. It's delicious and contains no "pesky" ingredients that my skin wouldn't like. Open the bananas, cut them into circles and put them in the freezer for about 2 hours. After two hours, take them out and put in a blender. Add the avocado and the cocoa powder and start the blender. Blend well. DONE! Have you ever tried a diet to cleanse your skin?